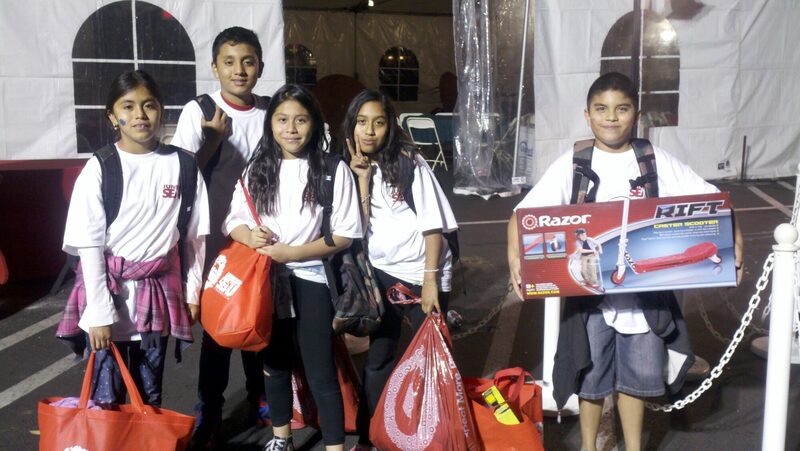 On December 9th, five lucky La Colonia 6th graders got the opportunity to attend the 20th Annual Junior Seau Foundation Shop with a Jock. 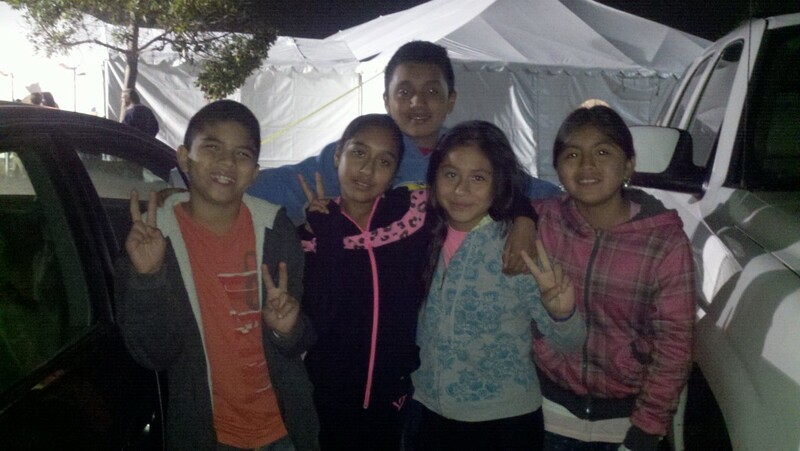 Luis, Jafet, Jaque, Maribel and Vanessa were accompanied by a La Colonia staff member to the Target in Mission Valley where a huge tent was set up for the event. Upon arrival, the kids were checked in and were handed their very first souvenir, a Shop with a Jock T-shirt. Inside the tent, a DJ was playing some awesome music for the kids to dance to. The kids were also able to get holiday tattoos and decorate some Christmas cookies. Once they were seated, the kids enjoyed music performances, participated in a dance competition and met some former and current Chargers Players. The kids also met members of Junior Seau’s family, such as his mother, father and two sons. After a delicious pizza dinner, the kids were paired up with an athlete from a San Diego sports team. Our kids were paired up with members of the SDSU soccer and rowing teams and one of our girls was paired up with Goldberg, a very well know wrestler and athlete! Each kid was given a $100 Target gift card for them to shop with. Once they were done shopping, the kids were escorted back to the tent by their athlete and were awarded another neat souvenir, an autographed picture with their athlete! The kids had such a fun and amazing time at this event. They were eager to get back and show their families all the neat things they were able to purchase. This event was definitely a great start to their holiday season.